Thread by @CarrollQuigley1: "SHOCKING NEWS! 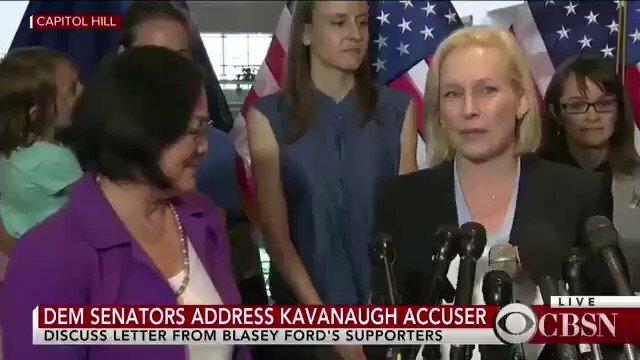 Kavanaugh Accuser Christine Ford belongs to the "Physicians for Human Rights" liberal activist group. FUNDED BY GEORGE SOROS! […]"
Kavanaugh Accuser Christine Ford belongs to the "Physicians for Human Rights" liberal activist group. Okay not really "shocking" but here's the source. Open Society, Human Rights Watch, and Physicians for Human Rights are basically one group and share staff. In 1987, Kenneth Roth was hired by Aryeh Neier to be deputy director of HRW and since 1993 (when Neier left to become head of George Soros' Open Society Institute), Roth has been the organization's executive director. Sixteen Thirty & Tides funded. Eric Kessler, a former Clinton Administration environmental policy staffer who also serves as principal of liberal philanthropic and investment strategy firm Arabella Advisors, is president of Sixteen Thirty Fund. In May 2018, a NYT article noted that Demand Justice “expects to raise $10 million in its first year.” The article further noted that Brian Fallon, the director said he was more than halfway to this initial fundraising goal. While Demand Justice has not released a list of donors, Fallon spoke at the 2018 Democracy Alliance—a network of left-wing donors such as George Soros –conference in Atlanta. Demand Justice operates through ActBlue Civics, a pass-through 501(c)(4) organization. Brian Fallon currently serves as executive director of Demand Justice. Previously, he served as the president of Barracks Row Media, a Washington, D.C. public relations firm. He previously worked as a political commentator for CNN..
..and served as a senior advisor for the political action committee Priorities USA, which provided critical funding to Hillary Clinton’s 2016 presidential campaign. Beginning in April 2015, Fallon also served as the Hillary Clinton campaign’s press secretary. Of course TWE has a thread on Paige as well! This is all connected and leads to the same NAMES involved in another attempt to OBSTRUCT. Off topic; Recall that Chi-Fi is compromised by China and look who Soros is partnered with..
Further down the rabbit hole.. I'm sure her social media is full of Planned Parenthood & Open Border posts and needed to be scrubbed. Also her yearbook paints quite the image. You'll never guess who is funding the organization that Ford's new advisor Ricki Seidman is working with!
. @ByronYork wrote about Soros using TSD in the past. Now we have McCabe's attorney in the mix? 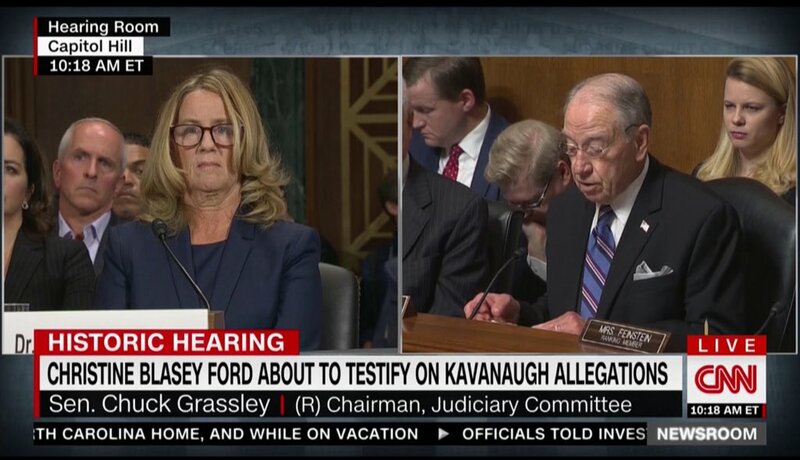 Dr. Ford's research into abortion drugs is a motive for her to prevent Kav's confirmation at all costs. Ms. Ramirez is another SJW seeking to strike while the fire is hot. Gabrielle McCaffrey is the person behind the digital footprint of Demand Justice and also Hillary for America. Anons are digging. Here's the latest connection. 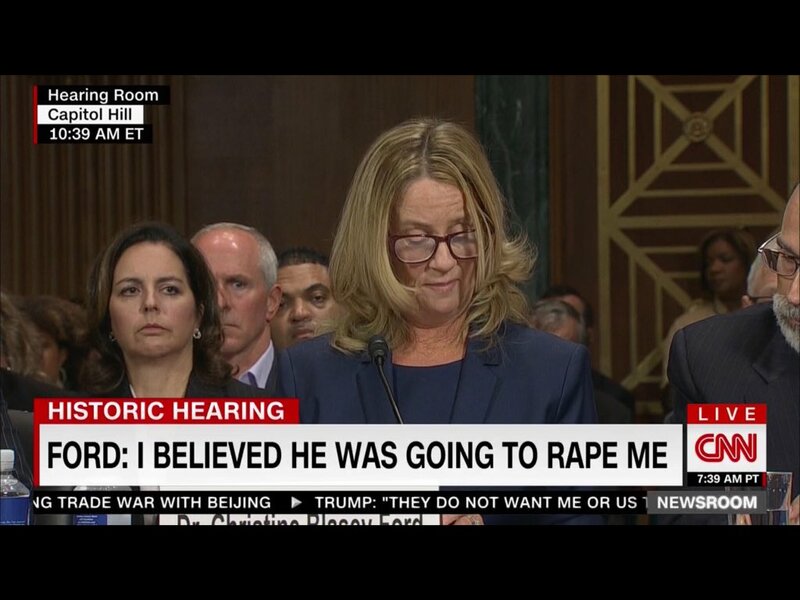 Blasey-Ford to Peter Strzok. Not entirely sure what this means but it's certainly "notable." KEEP DIGGING! The activist who was shouting at Sen. Flake works for the Center For Popular Democracy (CPD). CPD is funded by Democracy Alliance & Open Society. It's becoming more mainstream. The Great Awakening will happen when we hit the critical mass. Soon the world will know we are taking these people down. An important question (imo) for those looking into Veselnitskaya in regards to the Prevezon case: Who was the other attorney representing Katsyv? What many people fail to understand about current world wide happenings is that we only hear about a small portion of it. If you knew how many (foreign & domestic) are actively part of cointel, espionage operations, sleeper cells, contractors... it would blow your mind. Most of it is kept secret & will never come to the surface. People are killed & murdered daily all over the world to protect secrets. The world is changing but the speed at which many demand is not achievable. We are talking about hundreds (thousands?) of years of control. Unfortunately, most people have no way to cope with this and instead create their own fantasies or storybook endings. It's sad to see so many follow false "white rabbits" down the wrong tunnels. 1) EVERYONE PAY CLOSE ATTENTION! THIS INFORMATION NEEDS TO BE RETWEETED AS MUCH AS POSSIBLE! This is a POLITICAL HIT JOB on Kavanaugh. Do you believe in COINCIDENCE? 2) Just as in everything the Dems do, you have to dig and look at the connections between the actors behind the curtains. Once REVEALED the answers come clear and the whole story becomes CLEAR. 3) Nothing to see here, RIGHT! 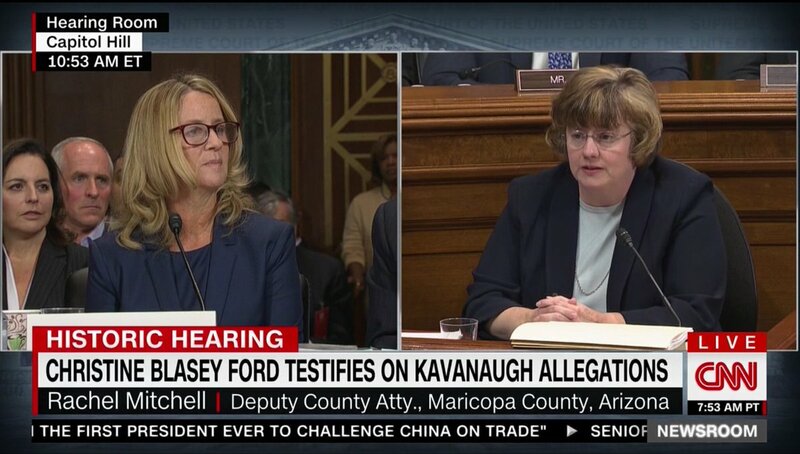 Judge Kavanaugh's mother is Martha G. Kavanaugh. She is a District Court judge for the state of Maryland. She presided over a foreclosure case for the parents of Kavanaugh's accuser Christine Ford. What @AdamSchindler didn't realize is he was witnessing something big. Someone working for George Soros. Vinay Krishnan pictured paying Kavanaugh hearing protester. Vinay works at Center for Popular Democracy, on record for being funded by George Soros. That's what these pictures show you. That's what you're looking at here. Paid disruption of Kavanaugh hearing by George Soros.